Reviews are a big part of the Rover community’s success. Thanks to verified reviews, dog owners like you can get a clearer picture of their sitter’s skills at a glance. Plus, your reviews help your sitter or dog walker improve and feel amazing about a job well done. 4. 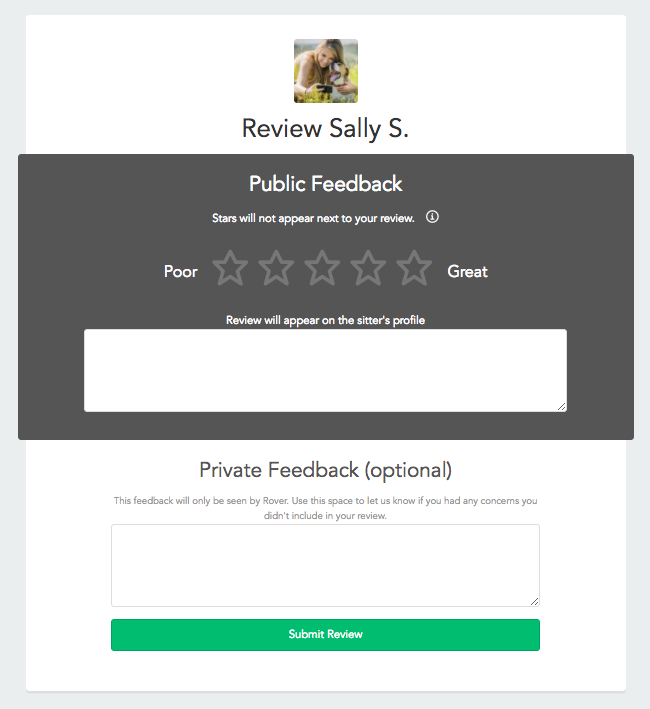 Follow the prompts to leave your review. You'll be asked to give feedback on things like safety, communication, and environment, to name a few. 5. Select Submit Review. You’re all set!